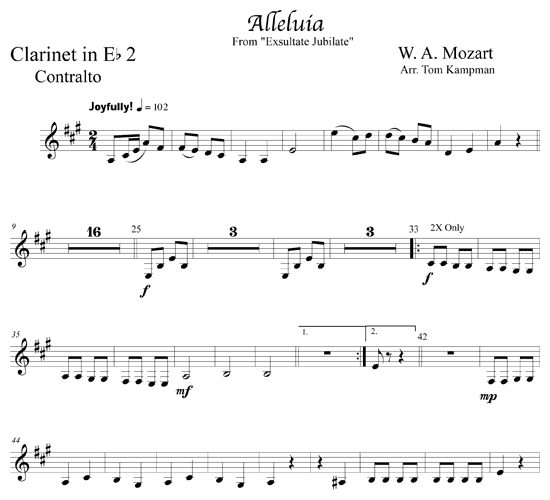 Mozart wrote the 3-part motet, “Exsultate Jubilate” in Milan when he was only 16 years old. 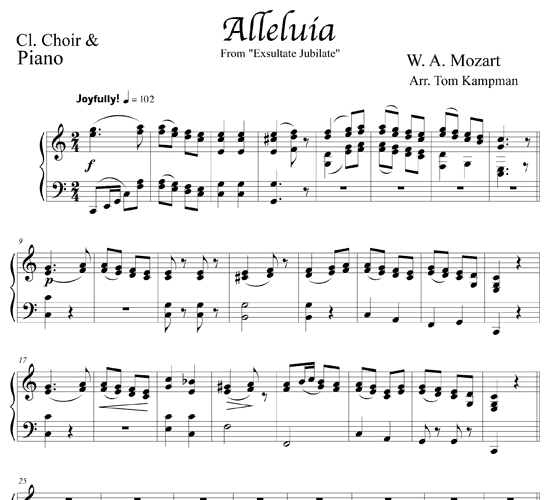 The text is full of joy, and he ably captured that mood with the music as well. 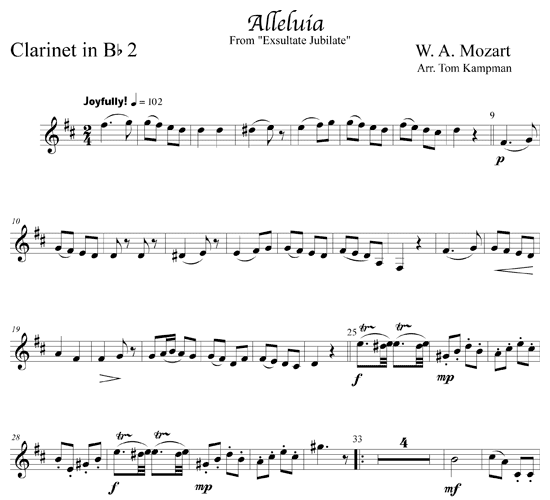 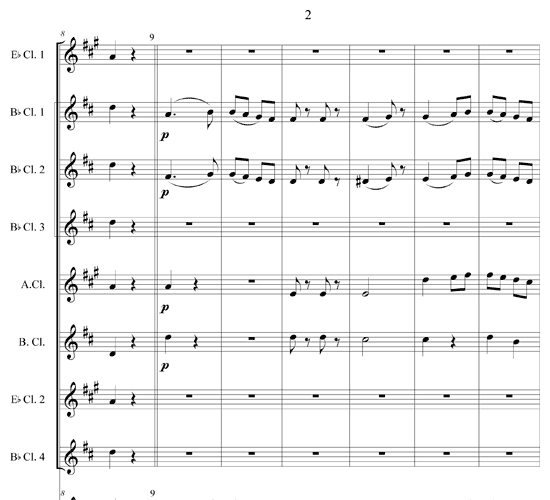 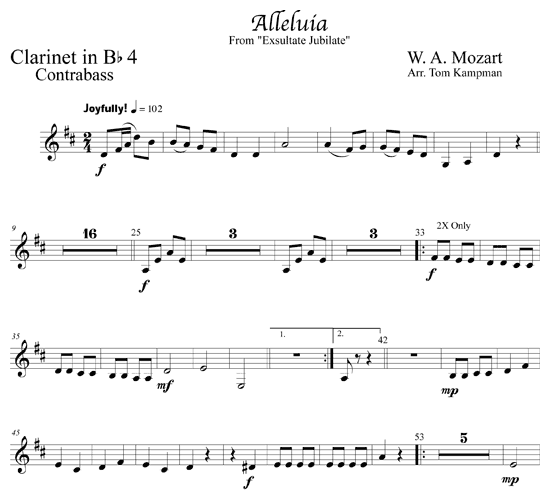 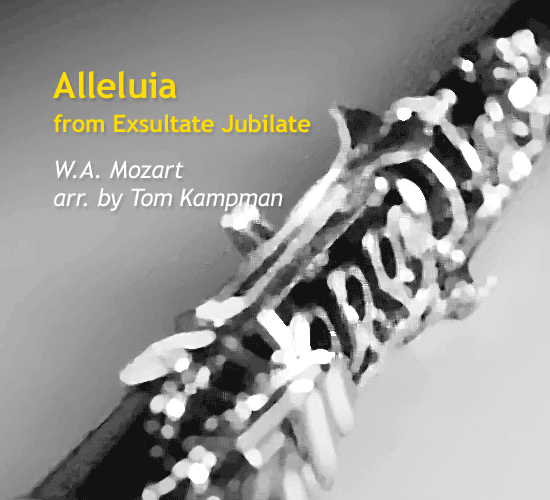 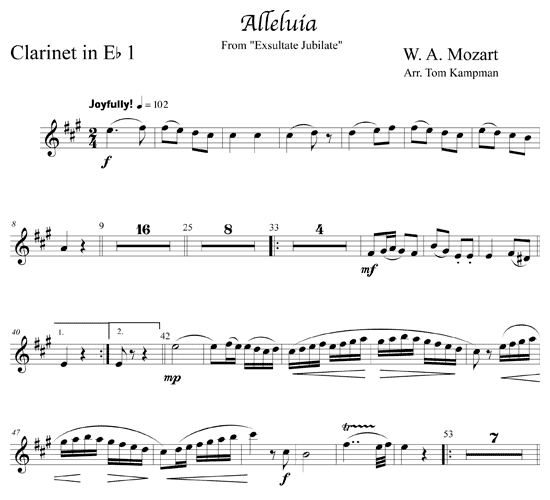 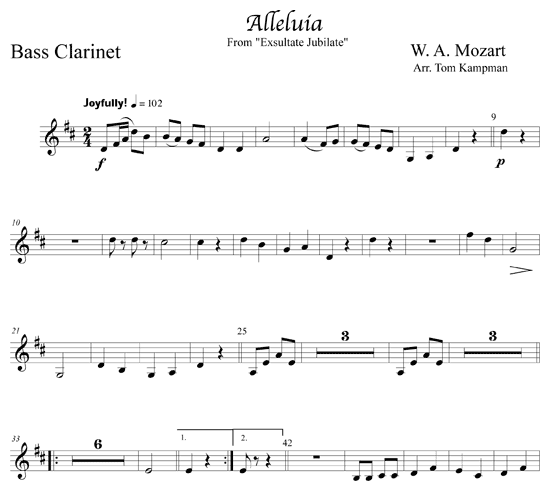 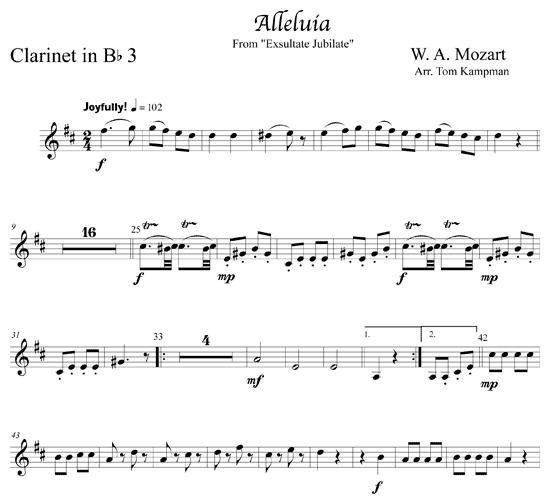 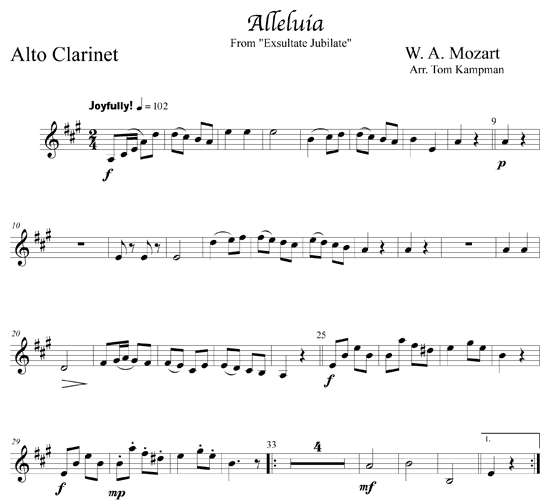 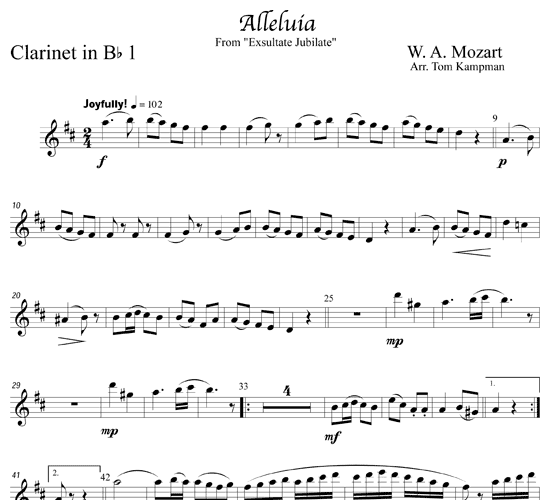 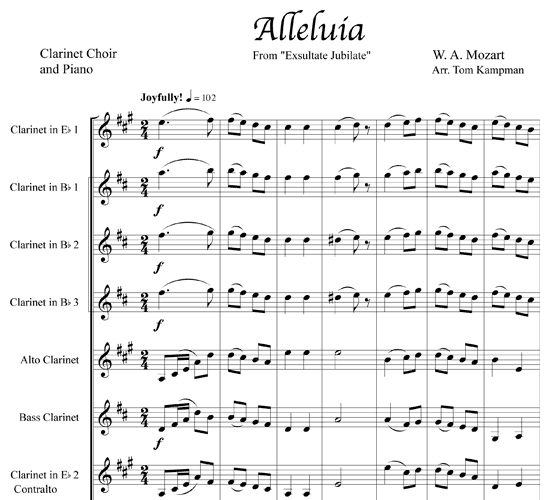 Clarinet ensembles should welcome this arrangement of such a well-known aria to the repertoire.